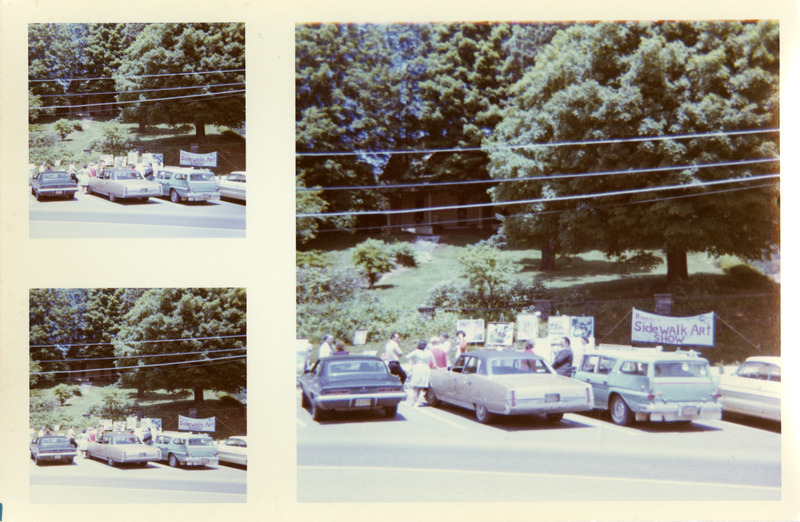 A sheet of three photographs depicting people viewing various paintings on easels placed on a hill beside a sidewalk in front of the Linney House on King Street in Boone. A banner can be seen, which reads: "Boone's Sidewalk Art Show." 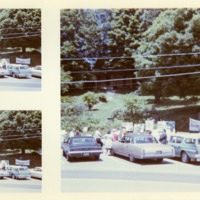 An inscription written on the back of the photograph reads: "2nd Sidewalk Art Show, sponsored by NC Regional Gallery of Art." Unknown, “Sidewalk Art Show, Image 2,” Digital Watauga, accessed April 25, 2019, http://digitalwatauga.org/items/show/6826.